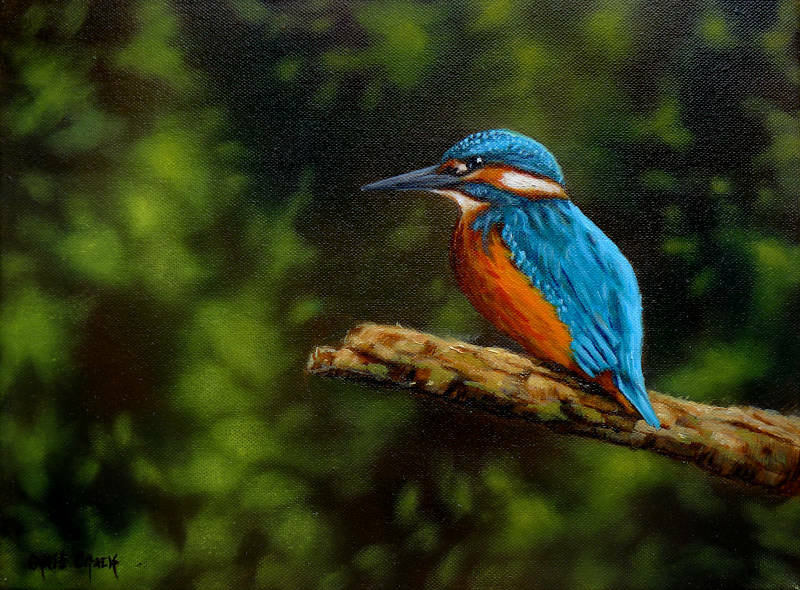 This kingfisher painting was a joy to paint, this summer ( 2016 ) has been a great year for seeing Kingfishers here in West Wales, and I've spent countless hours watching these beautiful birds at the local wildlife centre here in Cilgerran. Find out more about the welsh kingfishers of the Teifi valley and see some of the kingfisher photographs I've taken this year here. 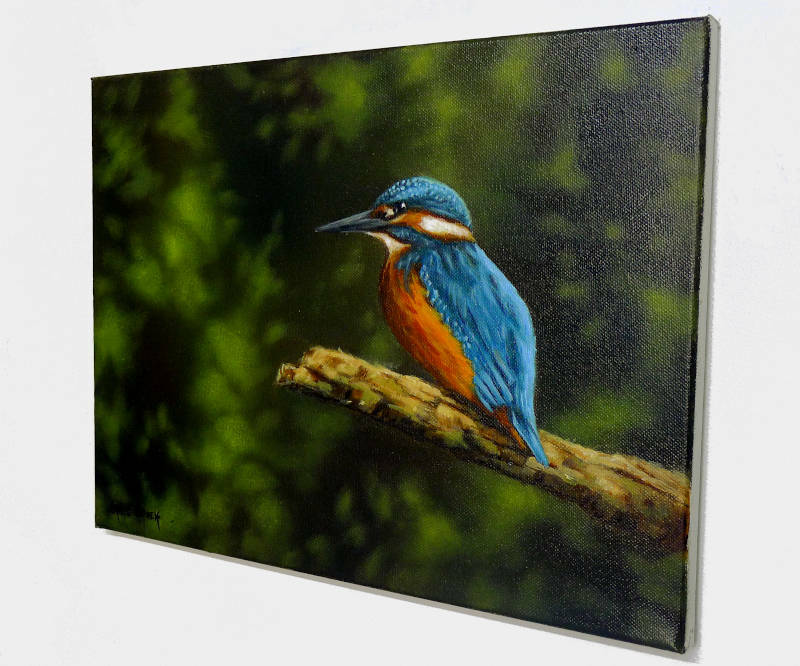 Painted on Loxley Gold stretched canvas, 16 inch x 12 inch x 1/3 inch - This painting can be framed or hung un-framed ( frame shown waxed solid oak - optional extra ).